Lee Curtis’ school assemblies creates dynamic, engaging and interactive learning experiences for your students. Each of our energy packed school assemblies will deliver a fun message in a unique manner utilizing magic, music and student involvement. So please check out our unique school assemblies on self-esteem, bullies, recycling, conflict resolution, drug awareness, reading, character education, motivating test taker and just the plain, but funny fun, celebratory magic show. If I can help you in any way please don’t hesitate to contact me. Assembly will take your students on a magical journey of the imagination by showing them how to overcome self-doubt and to feel good about themselves. The magic and fun help kids relate to the program’s concepts and message. In this day of anti-heroes, Lee Curtis is a positive role model the children will remember for a long time to come. “A child who believes in his/her own personal resources is far better situated to live life successfully, than a child who is inhibited or paralyzed by self-doubt and self-distrust,” states Nathaniel Branden, PhD, Clinical Psychologist and the nation’s top authority on self esteem. Never has it been more important to concern ourselves with a child’s self-esteem. This is why Lee Curtis has put together a special show highlighting; Respect, Cooperation, Achievement and Self-Confidence. “Children who have a clear sense of their own value tend to treat other people well.” -The Six Pillars of Self-Esteem. With the magic words, “I Can,” Lee teaches a lesson of self-worth through hard work. The children will hear the true stories of some famous people that overcame great obstacles to achieve success. The children also get a lesson in using their imagination to see beyond their current boundaries and where their hard work might take them. The Heroes Club is my anti-bullying assembly and anti-violence program for grades kindergarten through 6th grade. This program will engage your students in a fun and entertaining way using magic and comedy while delivering a powerful message to your students. This professional presentation will leave a lasting impact on your students and give them powerful tools to help remember and implement the message. If you’re a parent teacher or an administrator you’re probably aware of the painful reality of school bullying. In the traditional sense of bullying, we think of someone who overpowers or uses violence against another. But as a parent and an educator, I understand bullying to be far more reaching than just physical violence. Today we recognize that the subject of bullying covers name-calling, cyber bullying and exclusion. This program explores the wonderful world of recycling! During this high energy, fun-filled assembly program, Lee Curtis will illustrate the importance of recycling and how anyone and everyone can make a difference to save our environment. So what makes this show so memorable? The students will not only LEARN about recycling…but they will actually SEE recycling “magically” taking place during the show! Torn pieces of paper magically become whole again, glass bottles disappear and ordinary rope is cut and magically restored. All these lessons teach the children how to reduce, reuse and recycle in their everyday lives. The basic goal of this program is to get children excited about recycling so it is not something they HAVE TO do but something they WANT to do! 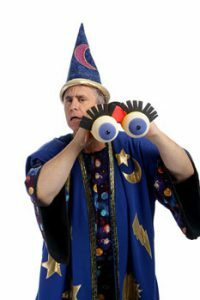 The show combines magic, storytelling and audience participation with important educational themes that create memorable messages that have a lasting and positive impact on children. Students will gain a better knowledge of how to control anger, reduce stress and search for a peaceful proactive solution. They will be able to understand how important it is that they stop, think before they react and apply the strategies given. In following these steps they will be able to prevent school violence and build on good student characteristics. Lee Curtis explains the nature of addiction using a student volunteer and a hilarious metaphor, so that even children in the lower grade levels can understand the meaning and dangers of addiction. “Discover The Magic of Reading!” is a wonderful educational show, customized for kindergarten through elementary school classes. It combines visual demonstrations of captivating magic & illusions, audience participation, comedy, storytelling and music, with memorable messages which teach students the value of reading and learning skills and the importance of using one’s imagination. Perhaps most important, students learn from the program that reading is a far greater imagination stimulator than TV! The program includes exciting presentations of specific examples of various types of books (fairy tales, instructional books, etc), whereby students learn the differences between them and the benefits of reading and learning from each. Your school will truly appreciate this program!!! The Right Choices will plant seeds of confidence in students and help them to believe in themselves. The program encourages students to find their personal gifts and abilities, to think about and focus on who they are and what they can become. The program will challenge your students to take responsibility for their own lives and directions and to serve and lead in their school and communities, and finally to surround themselves with the appropriate mentors and role models to help them accelerate. Character education is at the core of the school’s culture that wants to foster and reinforce core values such as honesty, respect, responsibility and diligence. This program emphasizes the 10 core character principles as outlined by the National Character Education Forum. This program will help emphasize and reinforce the core values of any school involved in character education. A great kick off for the state testing and a great way to get the kids excited about all those tests. Inspire your students to do their absolute BEST academically, especially on those all-important assessment tests! This testing school assembly program motivates students to believe in themselves and the “why’s” of doing their best on yearly school assessment tests! Students discover why it’s their “Time to Shine” and are inspired to use what their instructors teach them to show their SCHOOL SPIRIT during the time of the all-important assessment tests! Students go on a voyage of great inventors, leaders and innovators to discover why believing in yourself, doing your best no matter what, listening to their teachers and following directions can help them achieve their dreams and help your school show it’s spirit through high test scores! A great attitude means you are more likely to pass. What matters: Doing Your Best!!! How to have a POSITIVE ATTITUDE and why it’s IMPORTANT! BELIEVE IN YOURSELF, YOUR SCHOOL and YOUR TEACHERS! THIS YEAR motivate your students and have the TEST RESULTS YOU WANT! All the best magic and comedy routines from Lee Curtis’ 40 years of performing experience. There are many big surprises exclusive to this show and is perfect for rewarding students for academics, attendance, or behavior. Great for end of year celebrations and special holidays too. It’s Just for Fun!